A few preliminary steps can be very helpful. You may want to review the Pairing Wine with Food article for a few basic criteria. 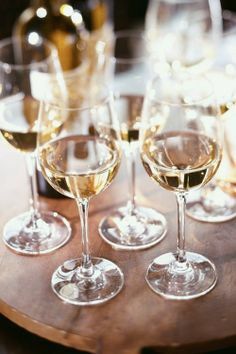 The body and acidity of the wine are usually as important as the red/white decision, and having a general understanding of this will go a long way in assisting you in choosing a wine that enhances your food instead of obscuring its finer points. Increasingly, serious restaurateurs around the country have come to realize the importance of intelligent wine selection to the success or their restaurants. This is partly to address the growing sophistication about wine among their clientele, but the principal reason is, or certainly should be, that the patron’s ultimate impression of the food may be diminished by a poorly chosen wine. Nothing can obliterate the beautifully subtle flavors of a poached sea bass like a full-bodied, oaky chardonnay. Yet, the unknowing diner attributes the boring result to the chef, who will likely never be aware that his dish, and possibly his reputation, was negatively affected at the table. Good restaurants are training their staffs to a level where they can be relied upon for good advice; making their wine lists more informative and, with some frequency, putting their wine lists on their web site. Reviewing the list online enables you to do a little research ahead of time and gain an idea of the selections and the various price points of the list. Selecting a few wines you might like ahead of time can alleviate the disconcerting process of spending 15 minutes, or more, poring through a 50-page wine list after being seated. 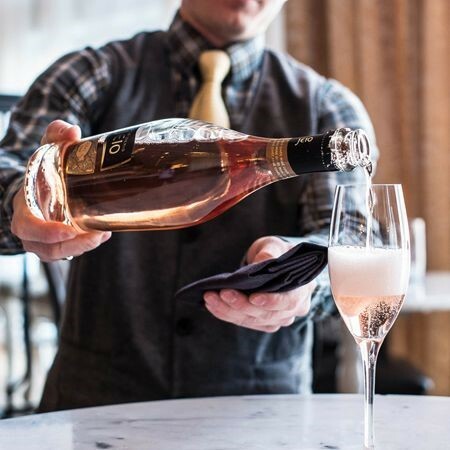 A well-designed wine list, in terms of information and organization, is both a benefit to the patron and a strong signal that the restaurant cares about your wine choice. Frequently these days, fine restaurants will group the wines by style rather than solely by region or varietal, which is the traditional format. This is particularly important in the absence of a sommelier. If a sommelier is available, engage him. They tend to be severely under-used by patrons, and I’ve never known one, even the rare snooty one, who doesn’t thoroughly enjoy helping a customer pair wines with his meal. Since you probably want something to drink while you look over the menu, order a glass of champagne for everyone. It is the perfect aperitif and removes the pressure of selecting a bottle of wine before knowing what everyone will be eating. Another tangible advancement by restaurants is the number and quality of wines offered by the glass and half-bottle. This is particularly pleasing if there are only two in the party, as it allows you to more precisely pair the wines with the various courses, without ordering multiple full bottles. Once the food choices have been made, seek the sommelier’s assistance. Advise him of your menu selections, along with a price range of what you want to spend per bottle. The pricing reference is not only appropriate, but greatly appreciated by a good sommelier. Obviously, your price range needs to correspond generally to the list, but there is absolutely nothing wrong with adopting a budget within the lower third of the list’s price range. If you see a wine region that you’ve heard good things about, but don’t know the wines, simply ask if there is a wine from there that might go with your meal. My point is, take advantage of the sommelier’s expertise to enhance your experience, and don’t let your lack of confidence inhibit you from having a full and interesting discussion with him. In the absence of a sommelier, ask your waiter how familiar he is with the wine list. If his response is in the "somewhat" category, politely proceed on your own. For basic "safe harbor" rules, I recommend sauvignon blanc or riesling for seafood; cabernet sauvignon, syrah, or red zinfandel for beef and large game; and, pinot noir for all else. That is a gross generalization, but a useful one for the novice, nevertheless. Here, I offer a serious caveat for one who elevates his wine budget for a special occasion. The high end of many restaurant wine lists is replete with expensive wines from recent vintages. The usual reason that such wines command such premiums among wine enthusiasts is their potential to develop complexity and subtleties over a number of years, usually at least 5. This is particularly true of Bordeaux, Burgundy, and syrahs from the Northern Rhone Valley. An expensive (over $125) one of these that is only a few years old is likely to be of disappointing value. Depending on the cuisine of the restaurant, it is unlikely that four people will order food easily paired with one wine. Accordingly, order two bottles at the beginning, and also ask for 2 glasses for each setting. Have the red wines either decanted or poured into the glasses immediately after ordering, even if one of them will be paired with a later course. This will allow the wine to aerate (breathe), which serves as a catalyst for the release of the wine’s aromas. Simply uncorking the wine is useless, as the surface area of the wine exposed to air is too small to matter. Whoever orders the wine will be poured a small amount to taste. The real purpose of this is not to see if you swoon with delight, but rather to detect any serious flaw in the wine. Defective wine is a substantial subject by itself, but, suffice it to say, if you smell excessive aromas similar to those of old, wet cardboard; wet dogs; or of a livestock yard, ask the sommelier to examine the wine for a flaw. If he finds none, accept the wine and see if it improves, or just don’t drink it (but pay for it). If you are not expert in the matter, overruling the sommelier will possibly create a scene and ruin the evening for your companions.